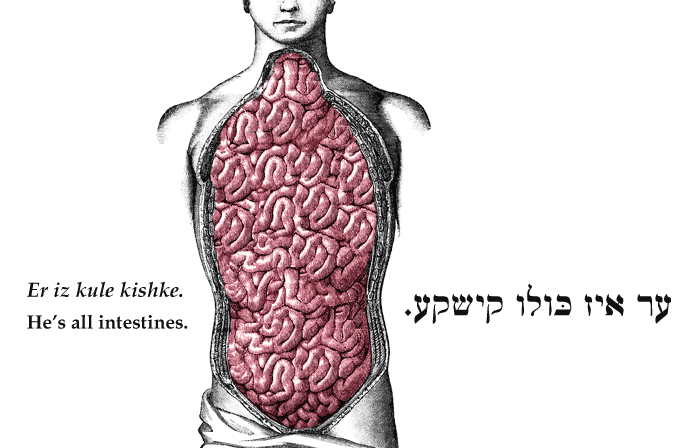 Yiddish Wit: He's all intestines. All he cares about is eating. SOURCE: Stutchkoff, Der Oytser fun der Yidisher Shprakh.